Our company was established in 1937. At Rex Industries, Inc., we have a long, proud history of building positive customer relationships by delivering quality fabrication on time and at competitive prices. Located in Salt Lake City, Utah, Rex Industries has been providing quality metal fabrications and weldments for Energy, Mining, Power and custom projects to the Intermountain region for over 70 years. Whether your components are mild steel, stainless steel, or aluminum, we have modern and efficient production capabilities required to exceed your expectations. 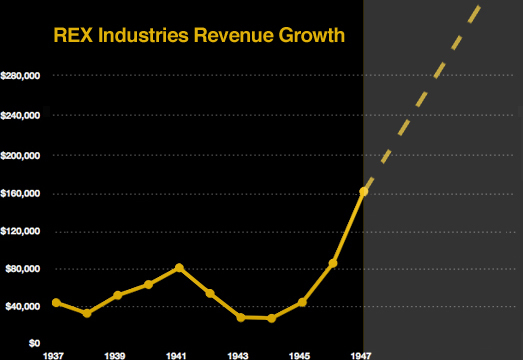 Founded during the Great Depression, revenues increased after WWII. 82 years later, revenues have grown into the millions. For more information, select one of our services from the list below.